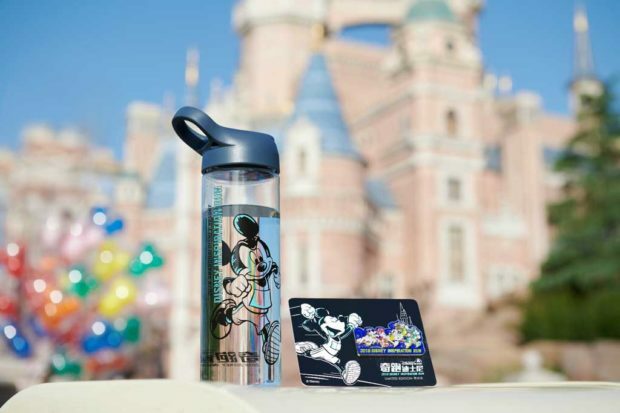 Shanghai Disney Resort reveals exclusive details of the September 15-16 race weekend! 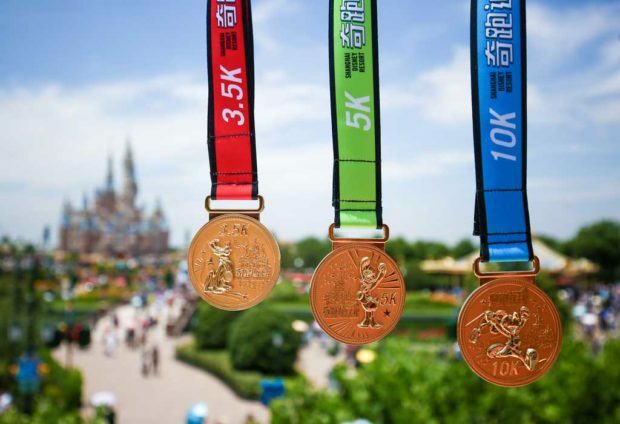 Shanghai, June 25, 2018 — Shanghai Disney Resort today announced that registration for the first-ever Disney Inspiration Run will begin at 10:00 a.m. on July 2. 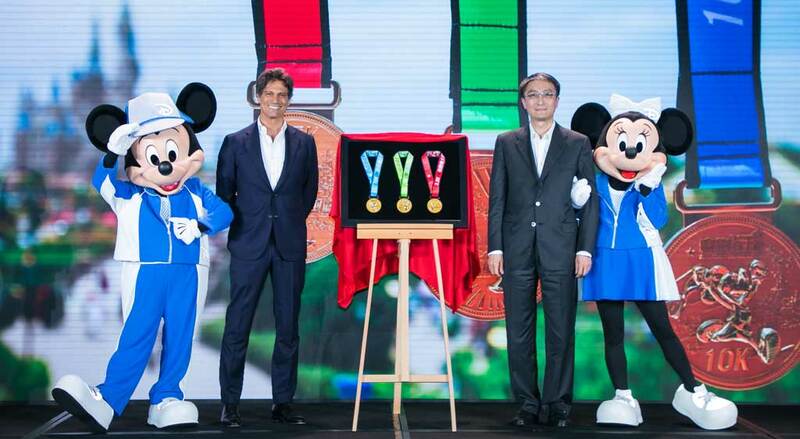 The inaugural event will feature three courses of different lengths and will allow runners of all ages to enjoy an unforgettable experience, set against the magical backdrop of Shanghai Disney Resort. The 2018 Disney Inspiration Run will feature 3.5 km, 5 km and 10 km routes, for participants of all ages and fitness levels. The 3.5 km and 5 km runs will be held on Saturday, September 15, followed by the 10 km run on Sunday, September 16. 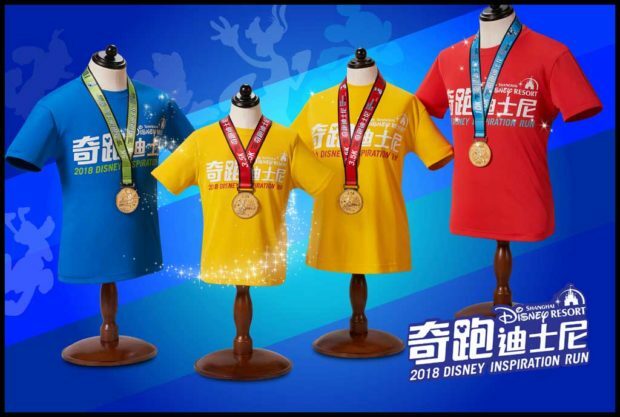 Co-hosted by Shanghai Disney Resort and the Shanghai International Marathon, the 2018 Disney Inspiration Run will be organized by the Shanghai Donghao Lansheng Event Management Company Limited. As part of the partnership, the first 50 male and female participants to finish the 5 km and 10 km courses will be granted automatic entry into the respective Mini Marathon and 10 km events at the 2018 Shanghai International Marathon. 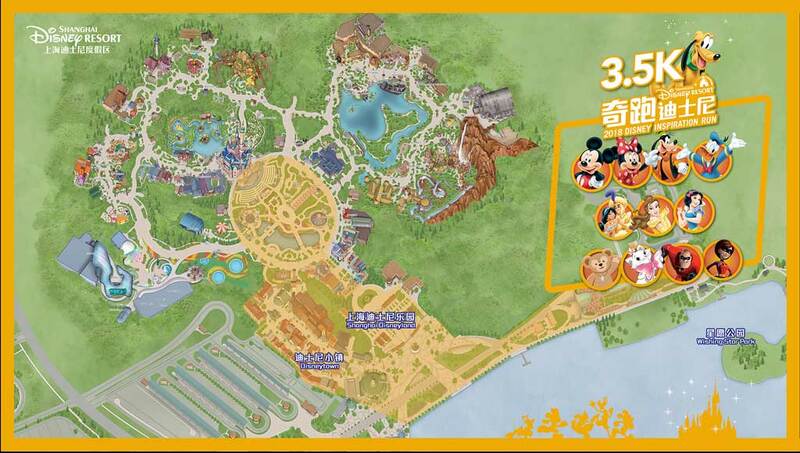 The three specially-designed courses of the inaugural Disney Inspiration Run will take participants through some of the most iconic features of Shanghai Disney Resort: through Shanghai Disneyland, Disneytown and Wishing Star Park. The courses will be lined with music and entertainment, with beloved Disney characters greeting participants throughout their run. 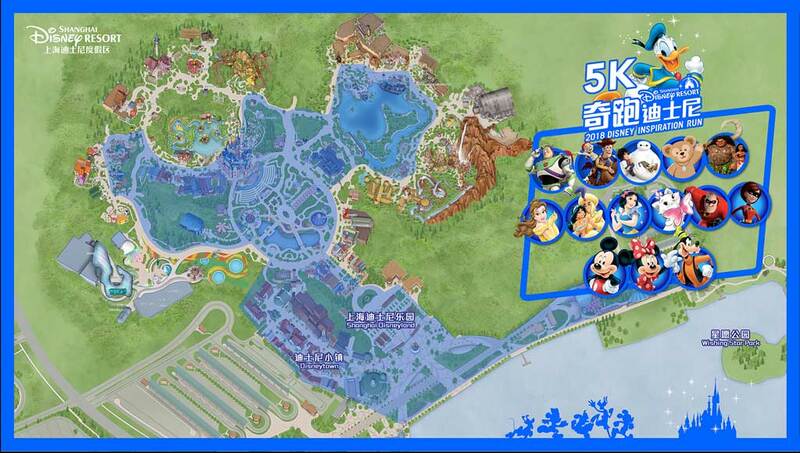 The 5 km run is open to everyone 16 years of age and above and will follow an extended route that will take participants on an amazing journey across all of Shanghai Disneyland’s seven lands, before finishing alongside Wishing Star Park. The 10 km run is open to serious runners, and applicants must be 16 years of age and above. 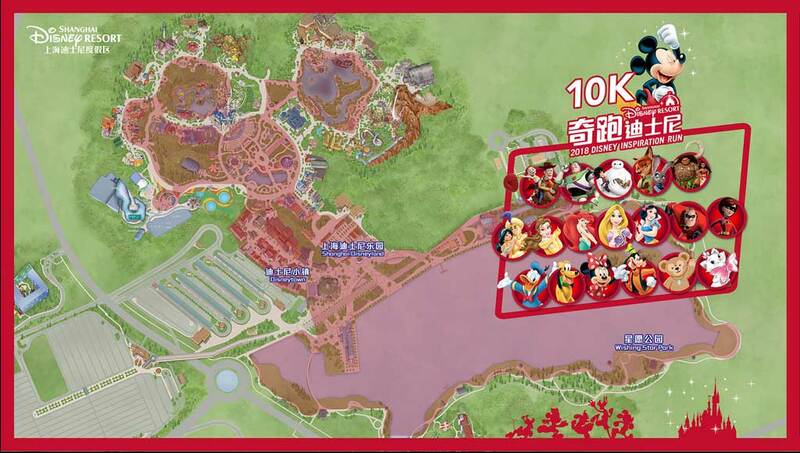 The 10 km course offers the most comprehensive tour of Shanghai Disney Resort, taking participants through Disneytown, Mickey Avenue, Tomorrowland, Disney•Pixar Toy Story Land, Fantasyland, Treasure Cove, Adventure Isle and the Gardens of Imagination, before finishing off with a scenic circuit around Wishing Star Lake. 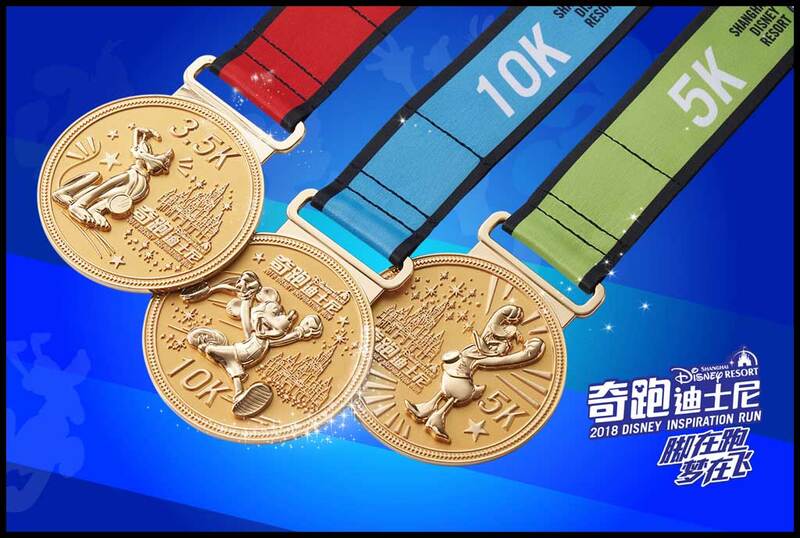 Participants who cross the finish line will not only be rewarded with an unforgettable collection of memories, but will also be presented with a unique race medal, which will be a must-have for every Disney fan and serve as a beautiful souvenir to remind participants of their incredible day at Shanghai Disney Resort. 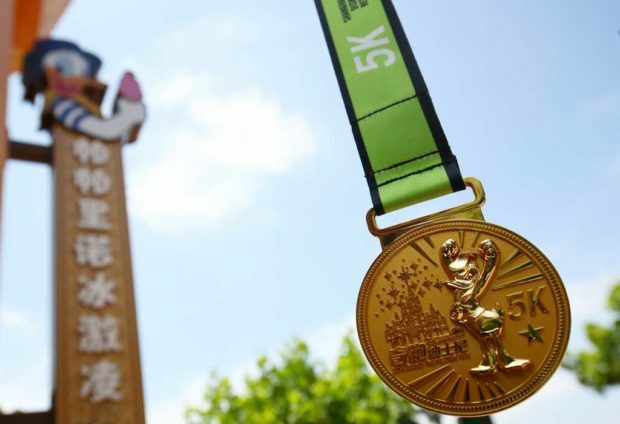 As the most prestigious of the race day honors, the golden 10 km medal will proudly feature Mickey Mouse, as he runs past the Enchanted Storybook Castle. 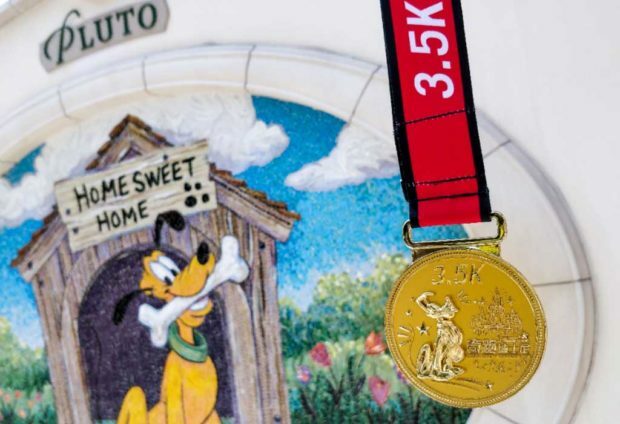 The 5 km and 3.5 km medals will feature two of Mickey’s best friends, Donald and Pluto, making them the ideal rewards for families and friends who completed these courses together. Each participant will also receive a commemorative t-shirt featuring Mickey, Donald or Pluto, depending on the course. 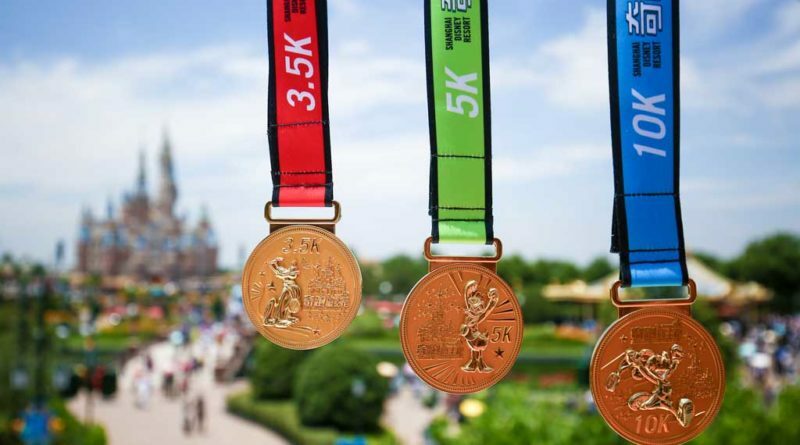 Disney fans are also encouraged to run their chosen route in their favorite Disney gear! Registration for all of the 2018 Disney Inspiration Run events will be open from 10:00 a.m. on July 2 through 5:00 p.m. on August 3, or until all spots are filled. 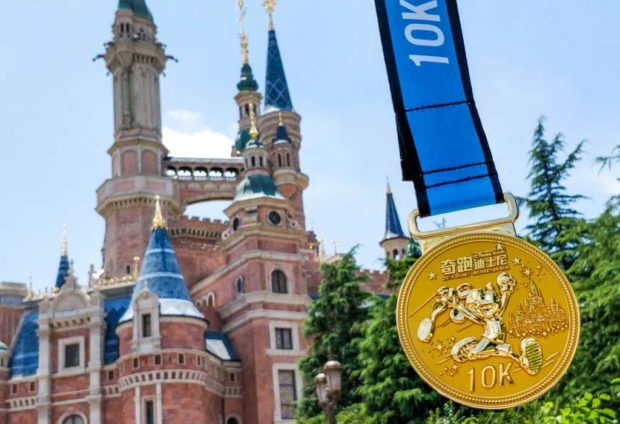 Participants will be entitled to a specially-discounted Shanghai Disneyland ticket to allow them to enjoy their victory in the park with friends and family after their run. 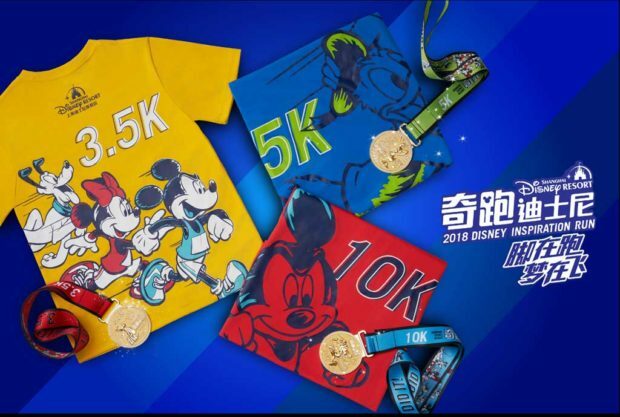 Those interested in signing up for a particular course can find more details at: https://run.shanghaidisneyresort.com/en/. Disney-themed destination races have enjoyed a long heritage and huge popularity around the world, after first launching in Orlando in 1994. 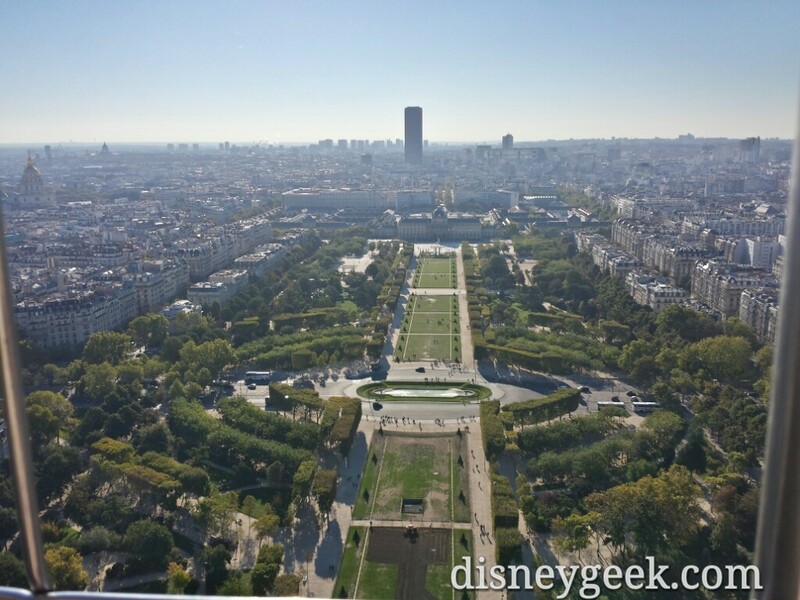 Since then, hundreds of thousands of Disney fans and sports enthusiasts have enjoyed running throughout Disney destinations across the globe – in Paris, Hong Kong, the United States, and soon, in Shanghai!